What makes some experiences enjoyable, and other experiences not? How can we understand enjoyment in human factors design; what components should we consider when we are designing for enjoyment? 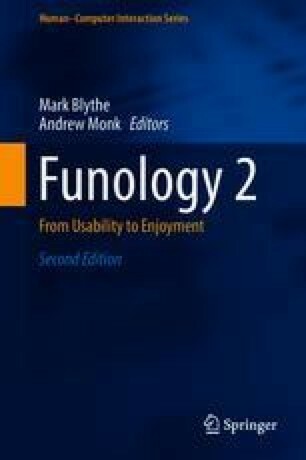 This chapter explores a theoretical model for understanding the components and nature of enjoyment, and how HCI (Human Computer Interaction) professionals can use the model to predict and evaluate enjoyment. The model is a modified version of Robert Karasek’s well-known demand-control-support model used in work and organisational psychology (Karsek and Theorell in Healthy work: stress, productivity, and the reconstruction of working life. Basic Books, New York, 1990). We would like to thank our colleague Anne Lund.